These are great quality easels from the same manufacturer as the Winsor & Newton Brent easel. This easy to assemble H frame table easel that is handcrafted from seasoned oiled beechwood is great for sitting at the table while at home, studio and art workshop. The benefit of table top easel are great for working in small studios or classrooms. A maximum canvas size to fit the easel is 30cm portrait size piece of art work. Showing 2 Crafty Arts Rhine H Frame Table Easel reviews. Average rating of Excellent. Would you like to write a review? A very nicely made table top frame. I love this and it is just the right size for me to hold a painting in place. 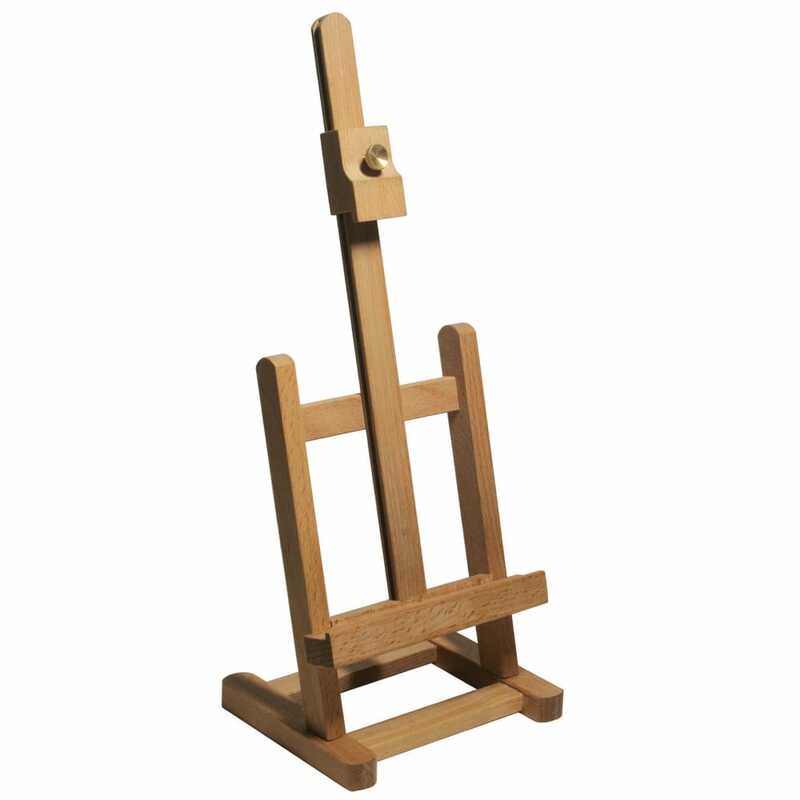 A, neat little table easel, ideal for smaller canvasses, canvas board etc both to work on or to use to display your work.